A bit of a different post from me today. I was looking through my You Tube channel and seeing lots of projects that I still love, even though I made them a while ago. So I decided to bring some of those projects to you. 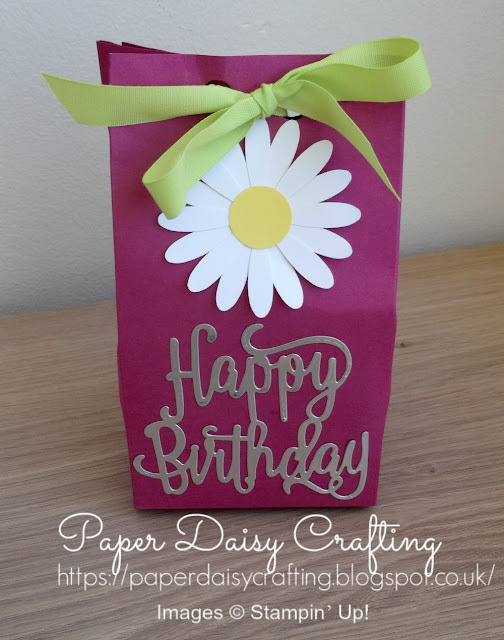 I'm starting off today with this pretty gift bag. I still turn to this gift bag template when I'm packaging up presents. So easy to do and a decent size, but made with just one sheet of cardstock. 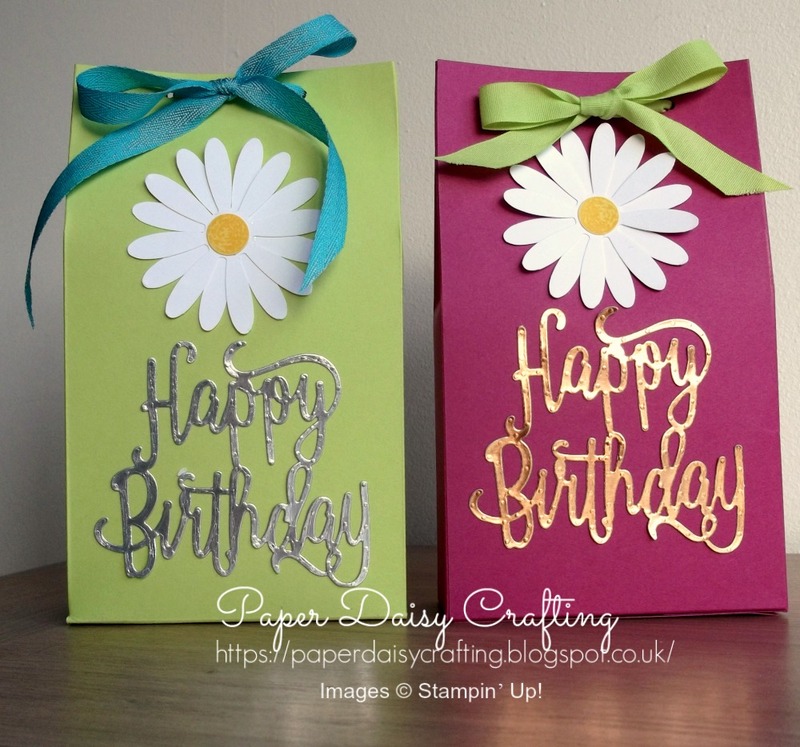 No stamping on this gift bag - just a die cut (Happy Birthday Die) and some punching (Daisy Punch). And most of the products I used are still available - at least until June! Only the ribbon would need replacing!